Keeping a plant means a lot of responsibilities. You have to water it, keep it fresh and see to it that it does not droop down. But in today’s busy schedule, it is hardly possible to take care of a plant. This potted plant is a wonderful alternative for home decor. Made of plastic, this looks nothing less than a real plant. But unlike a real one, you need not take care of it or even water it. It is highly durable and remains vibrant as ever. Dust it a bit from time to time and it is as good as new.Place this pot in your window, verandah or even your living space. It will look good anywhere. It looks fresh and dewy always. With a little care, it looks like a real plant for a long time. 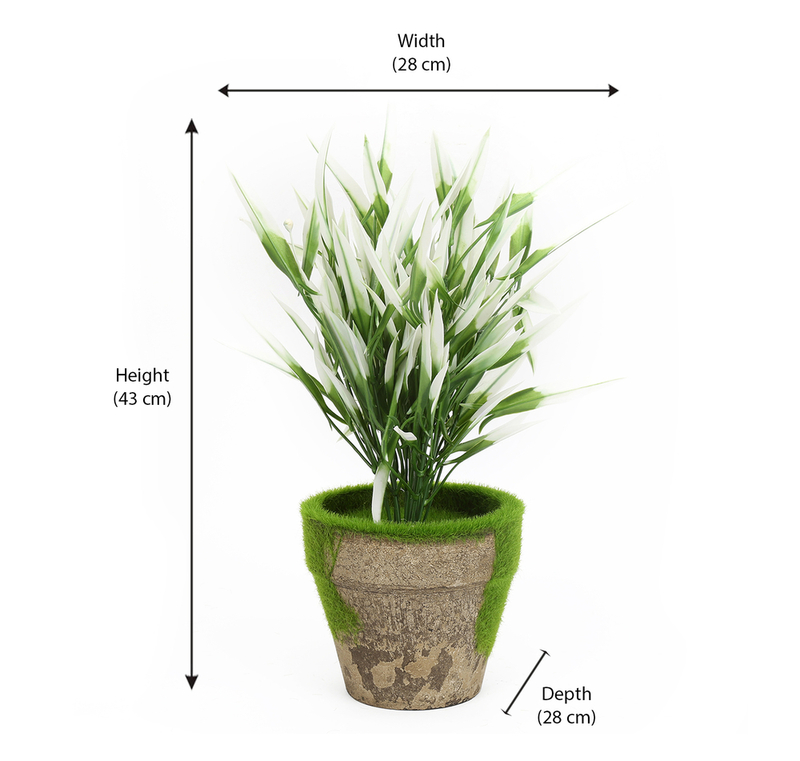 It gives a graceful and bright look to your home.Buy this beautiful potted plant from @home and give your home an aesthetic look. It is value for money so buy it as soon as possible before it goes out of stock.